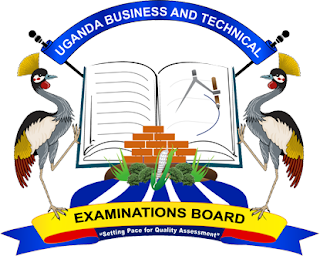 Uganda Business and Technical Examinations Board (UBTEB) November/December Year I & II National Certificate (Technical & Vocational) and UCPC Assessment/Examinations Registration Form, Fees Structure, General Guidelines for 2018/2019 Academic Session. iv. 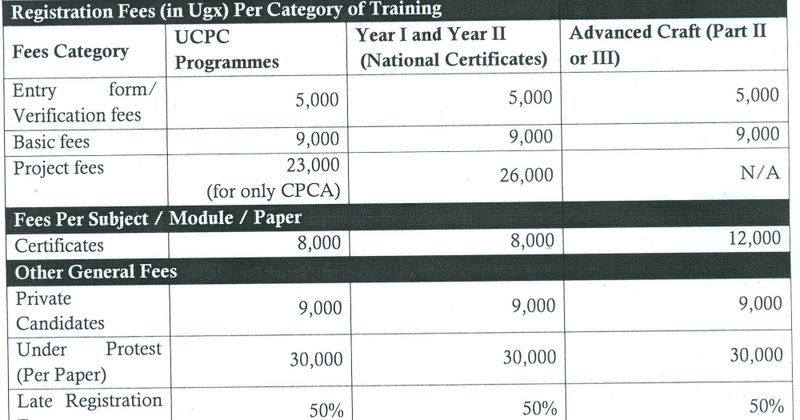 Advanced Craft Part II/III courses following the UBTEB Regulations and Syllabuses; and v. UCPC courses following NCDC Curricula 2008 (2012 for CPCA). You are also informed that all retakers shall be assessed as per the respective Curricula/Syllabi used at the time of first sitting. ii) Candidates shall access the online registration portal and enter their details via http://emis.ubteb.080/admissions and enter their registration details. iii) An Institution's authorized Officer shall log onto the system using the Username and Password provided to the Head of Center by UBTEB through http://emis.ubteb.go.ug:8080/ and approve each applicant on the system to enable the Board enrol them. iv) After approving the candidates, the Institution's authorized Officer shall print the list of approved candidates with Registration Numbers which shall be used against their Photographs and uploaded onto the system (Please follow the online registration manual provided for guidance). v) The Institution shall then submit the printed lists of the approved candidates to UBTEB for verification. The continuing candidates and "re-takers" in all the categories shall register using the entry forms. These candidates shall maintain their Registration Numbers as per the latest results released (Nov/Dec 2017 Examination results). Deadlines MUST be fully observed as there shall NOT be Registration beyond the late Registration deadline since it derails the process of examination preparations. i. Institutions shall assess the candidates and submit Coursework results for all National Certificate papers/modules in form of assignments, class tests and /or workshop practicals as per the new Curricula while UCPC and Advanced Craft will be assessed as previously done. ii. The Coursework and Real life Project results shall be submitted two weeks before the beginning of the final Examinations using their respective submission forms as provided by the Board. i. Both First and Second Year trainees who are following the new Curricula shall be placed for IT and shall train for a period of not less than 6 weeks after their final Assessment/Examinations. ii. The Heads of Examination Centres shall submit to UBTEB the trainees IT placement lists at the time of submitting Coursework results. This shall be as per IT guidelines. iii. Academic Supervisors from the Institutions shall visit the respective training places to assess the trainees' performance. Thereafter, the trainees shall compile and submit IT reports to the IT coordinators for marking. i. The IT Field Supervisor(s) shall be provided with assessment form(s) for the trainee(s) by respective training institution(s). ii. UBTEB shall also visit the respective places of training to monitor and evaluate the progress of the trainees. iii. The Industrial Training results shall be submitted before the end of February 2019, using the submission forms provided by UBTEB. i) The registration entry forms and summary forms are available for picking at UBTEB Secretariat for continuing candidates and "re-takers" only. ii) All Institutions presenting candidates for Registration must have at least 05 candidates per course/programme and a total candidature of at least 30.
iii) After the late registration date has passed, no more registration of candidates shall be accepted. iv) All Institutions presenting candidates for programmes examined by UBTEB must be implementing Curricula developed by National Curriculum Development Center (NCDC), academic programmes accredited by National Council for Higher Education (NCHE) and/or examination syllabi provided by UBTEB. v) Institutions are advised not to register private candidates (i.e. candidates from institutions not accredited by UBTEB) as it becomes difficult to determine their continuous assessment results. If exceptionally necessary, permission should be sought and given by the Executive Secretary-UBTEB in writing. vi) Institutions that will present candidates for UBTEB Examinations shall remit the candidates' Registration/Examination fees to UBTEB by Bank Draft or EFT to UBTEB General Collections A/C. No: 9030005776596 Stanbic Bank Metro branch. Proof of such remittances shall be presented to UBTEB accounts office for clearance at the time of registering candidates. No part payments / cash payments shall be accepted by the Board. vii) A Candidate registering online for the first time shall scan and upload his/her academic documents (e.g. result slips, transcripts, certificates etc.) and either a Birth Certificate or a National Identity Card on the system which shall be verified as per the online registration manual. viii) Candidate's passport size photos shall be coloured on a white background with Registration Numbers embedded on them. ix) No candidate shall be allowed to transfer from one examination Centre to another at any time. x) Candidates who had dead years should first sit the papers in the respective years before proceeding. xi) Under protest cases shall only be applicable to a candidate who registered with UBTEB but his/ her Name has been omitted on the final register or if a candidate wrongly registered for a paper. xii) Heads of Centres are reminded not to send candidates or parents to UBTEB for Registration regardless of the circumstances.